The gimbal mounts are used for general purpose pointing, scanning and tracking applications. This gimbal mount is made of aluminum alloy with an elegant black anodized surface. The transmission ratio is 180:1. 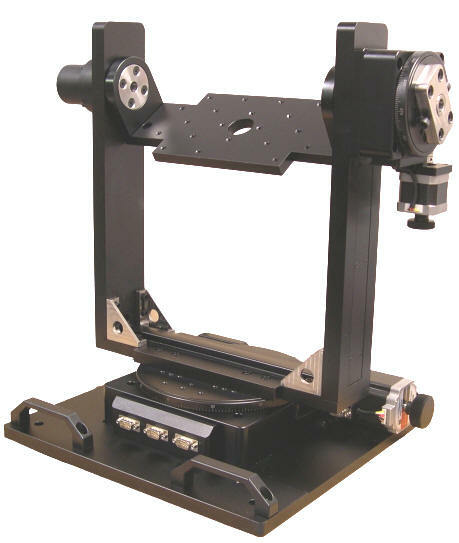 It provides 360� of continuous rotation on all axes for scanning. The maximum load of this rotary table is 20 Kg. 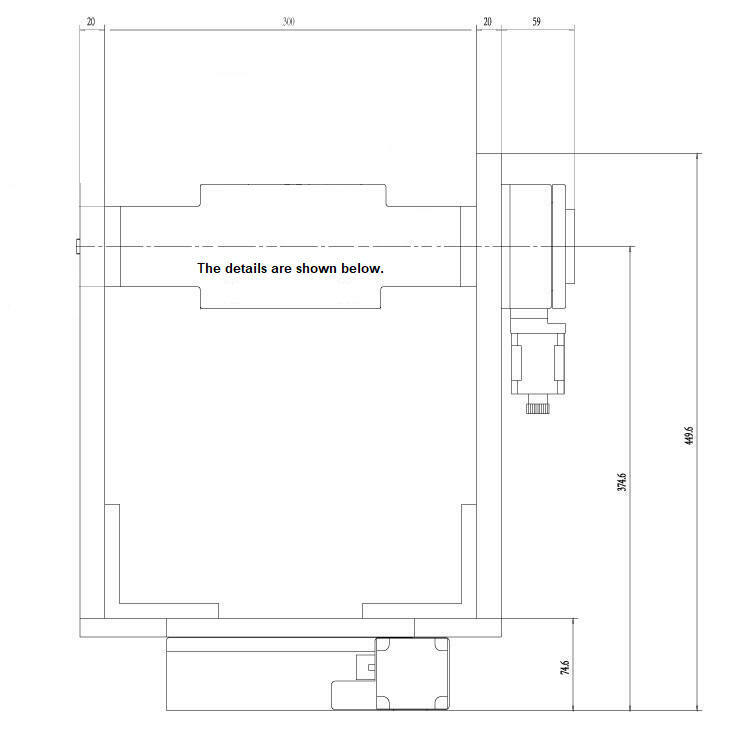 The resolution of 0.001� is achieved with a 10 micro-steps per step stepper motor driver. This rotation stage is also available with a servo motor and optical encoder. The mounted indicators show the angle of rotations. The knob mounted on the motor allows for manual adjustment.